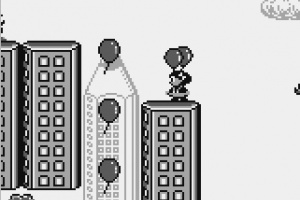 In the little town of Pencilvania, there lived a brother and sister who loved to play with balloons! 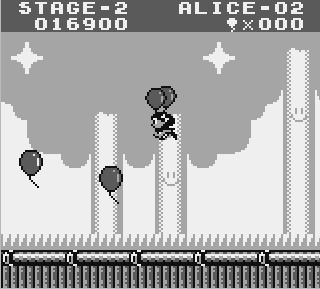 Alice and her younger brother, Jim, would spend countless days filling the skies with their balloons. One day, Jim filled all of his balloons and tied them together to make a beautiful balloon rainbow across the sky. But suddenly, a strong wind came and carried Jim away! 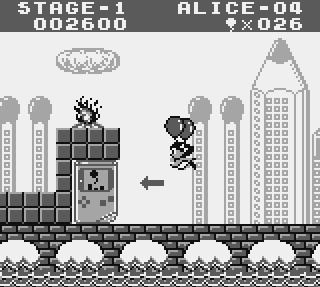 As Alice, you must save your brother from peril! 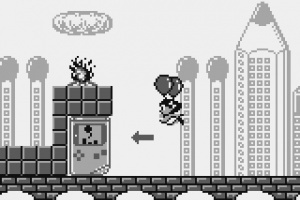 Float through 8 different stages, as you follow Jim's trail of balloons. 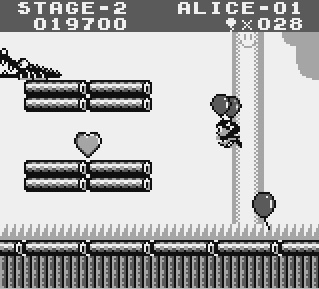 Collect as many balloons as possible to earn bonuses! 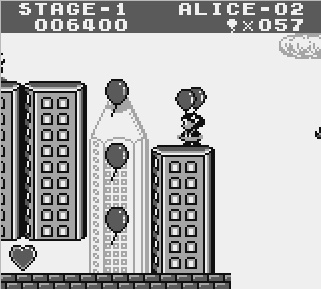 Test your piloting skills to avoid enemies, or let go of your balloons to face the enemies on ground! 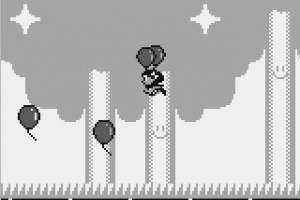 In "Balloon Trip" mode, compete for the highest score and move up the ranks! Take a big gulp of courage and give Alice a hand as she searches for her missing brother! I play the NES version a lot; one of the few NES games I do play. Might get this when it comes out in Europe. 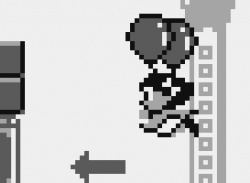 the NES version is part of Ambassador Program! 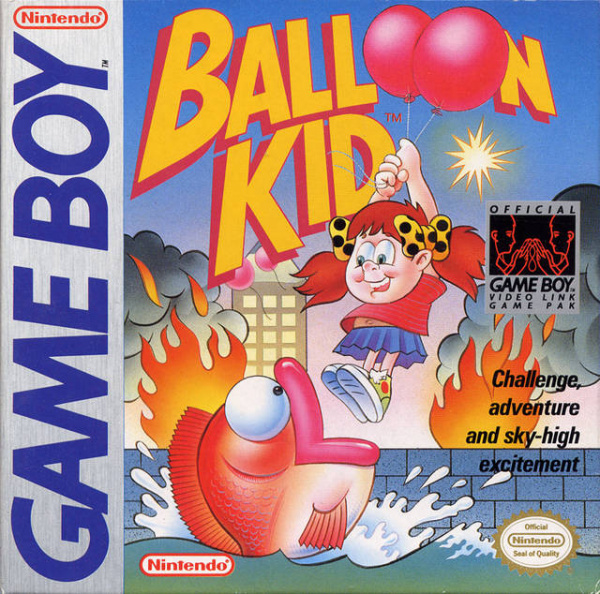 Guys, this game is not the same, it's a more complex version of the Balloon Trip mode. This game is better then the review states. 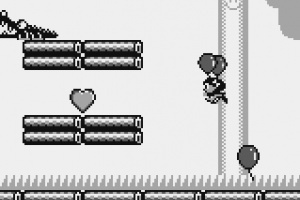 It takes the Balloon Fight formula, and turns it into a full platform game. Plus, the music is great for GB standards.